Oct - 25 | By: Oregon Film | 2 comments. Oregon has always been fertile ground for talented writers and many have seen success on the big screen as well. We have Ken Kesey to thank for “One Flew Over the Cuckoo’s Nest” and “Sometimes a Great Notion”. OSU alum Mike Rich (“Finding Forrester”, “Secretariat”) has written the screenplays to several successful films recently. Today there are perhaps more writers than ever who have made Oregon their home and more and more are finding success in the film industry as well. 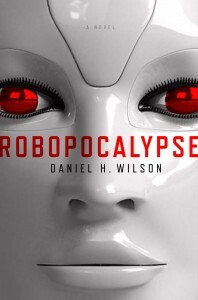 Recently it was announced that Steven Spielberg has agreed to direct the film version of “Robopocalypse” which was written by Daniel H. Wilson. Based on what I’ve read about the book, it looks like Spielberg will be a perfect fit for the project. Congratulations are in order for Daniel. Earlier in the year I picked up this news about Monica Drake’s novel “Clown Girl”. And recently we picked up the news about the making of “Blue Like Jazz” which is based on Portlander Donald Miller’s novel. I’m sure there are several more stories out there about good Oregon writers finding success so please feel free to share them here on The Confluence. Don’t forget stunning Portland novelist Patrick DeWitt’s (Ablutions) original screenplay, based on his story Terri, was shot by John C. Reilly (also the star) this last summer!